This timeless picture book by Pat Hutchins is now over forty years old and still a firm favourite. 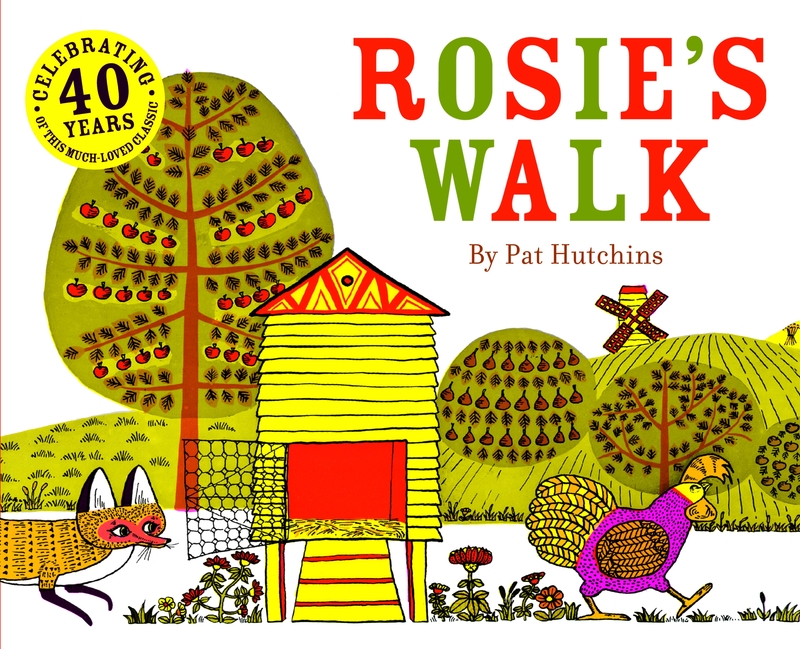 Rosie's walk around the farmyard, pursued by the hungry but clumsy fox, has become a beacon in the world of children's picture books, an ever-popular classic which generations have enjoyed. Children love the humour of this near-wordless story. One disaster after another befalls the poor fox while Rosie goes on her way, supremely unaware of the danger behind her. 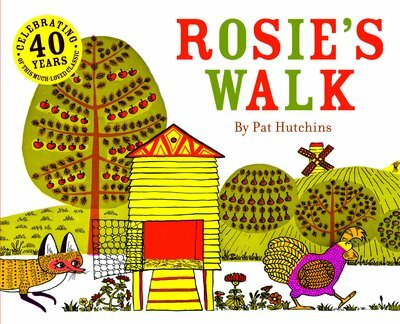 Now at a wonderful larger size, this re-issue wil bring the joy of Rosie's tale and Pat's bold artwork to a new generation of fans. Love Rosie's Walk? Subscribe to Read More to find out about similar books.